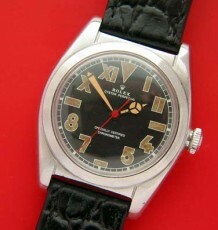 Classic steel Date model of the popular Rolex Air King watch. 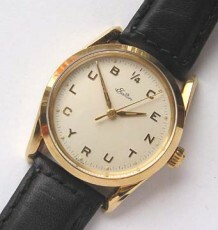 This watch was made only for commonwealth markets and not sold in the United States. This and the Explorer date are the only watches to use the Rolex Calibre 1525 and 1535. A very unusual model that was only sold in British Commonwealth market countries. The model shares the same reference number with the very rare Rolex Explorer Date model that was rumoured to have been sold only in the USA. 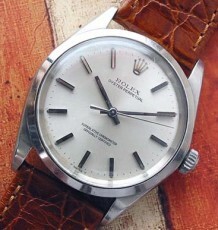 This watch features a mint condition silver white dial with steel stick markers and classic Rolex, pointed stick hands. 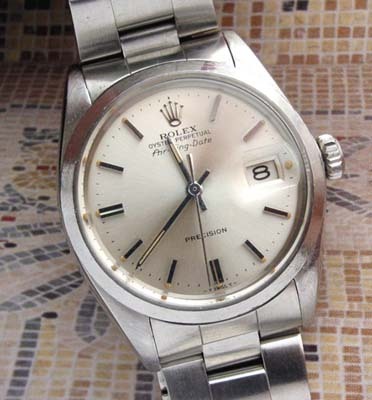 The Rolex automatic caliber 1535 was recently serviced and performs flawlessly. 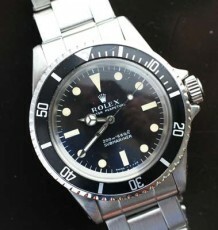 The watch is supplied on a newer genuine Rolex “heavy” Oyster, solid link bracelet that is in excellent condition. The case measures 35mm wide by 40mm long.